The Applegate Valley AVA is a sub-appellation of the Rogue Valley AVA, which is contained within the larger Southern Oregon AVA. The Rogue Valley AVA was established in 1991, and the Applegate Valley AVA was separated out in 2001. Covering a total area of roughly 275,000 acres, The Applegate Valley AVA has just over 600 acres planted to wine grapes. There are 18 member wineries in the Applegate Valley Wine Trail. Predominant varietals include those from Rhone, Bordeaux, and Burgundy. The valley itself stretches for approximately 50 miles from the California border to the Rogue River west of Grants Pass. Average elevation in the AVA is 1330 feet above sea level. A moderate climate sees just about 25 inches of rainfall each year, and features warm days and cool nights. The Applegate Valley is warmer and drier than the Illinois Valley to the west, but less so than the Bear Creek Valley to the east. Though soils are largely granitic, a diverse geology means widely varying soil types. This, combined with a large number of micro-climates, means a wide range of varietals thrive in the AVA. Wine grapes were first planted in the region by Peter Britt in the mid-1800s. Nearby communities include Ashland, Medford, Jacksonville, and Grants Pass. Two major performing arts festivals attract international visitors to the area: The Britt Festival in historic Jacksonville and the Oregon Shakespeare Festival in Ashland. Small organic farms growing a variety of fruits and vegetables, lavender purveyors, and boutique food producers contribute to a culture of locally-made products. The region touts outstanding outdoor activities, including river rafting, hiking, and fishing. The Wild Rogue Wilderness and Rogue River attract tens of thousands of visitors each year to explore the scenic region and raft the waters. only started producing in 2004 and has become one of our most poplular wines that we make. As reported in January, Governor Kitzhaber signed a proclamation designating May as Oregon Wine Month. To kick off the month’s festivities, the Oregon Wine Board will be hosting a grand tasting, Unwine’d: Celebrate Oregon Wine, on April 29th from 3-6 pm at the Left Bank Annex in Portland. Wine store – taste what you like and easily purchase it! Tickets are $50 and available now. 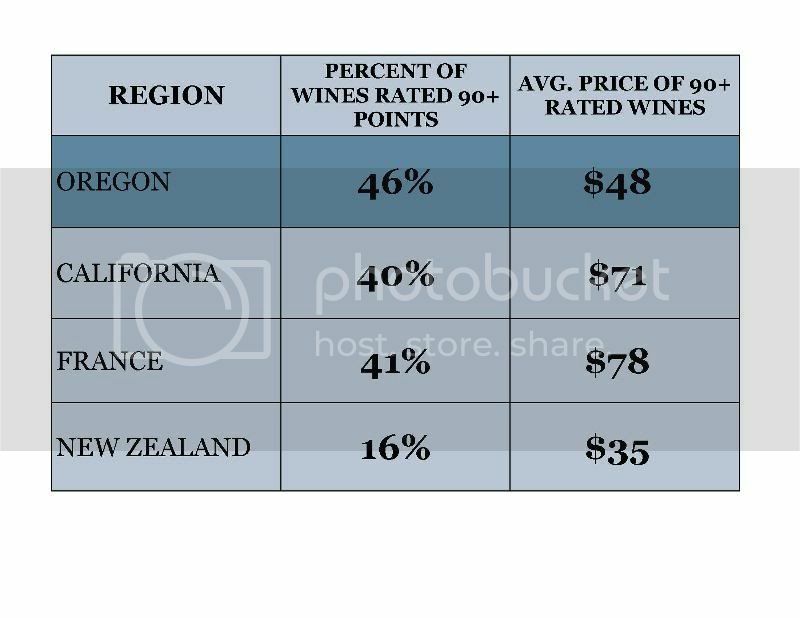 “Oregon wines are receiving 90 points or better more often than wines from California, France and New Zealand. There are significant milestones that define one’s life and our evolutionary path toward the future. These range from our first steps as an infant to welcoming children into the world. For a grower of winegrapes, peak moments begin with bud break. Each year, in late April, or in the case of a La Nina weather pattern, early May, the average daily temperature reaches 60 degrees Fahrenheit in the Applegate Valley, which signals a wake up call from the vine’s winter dormancy. 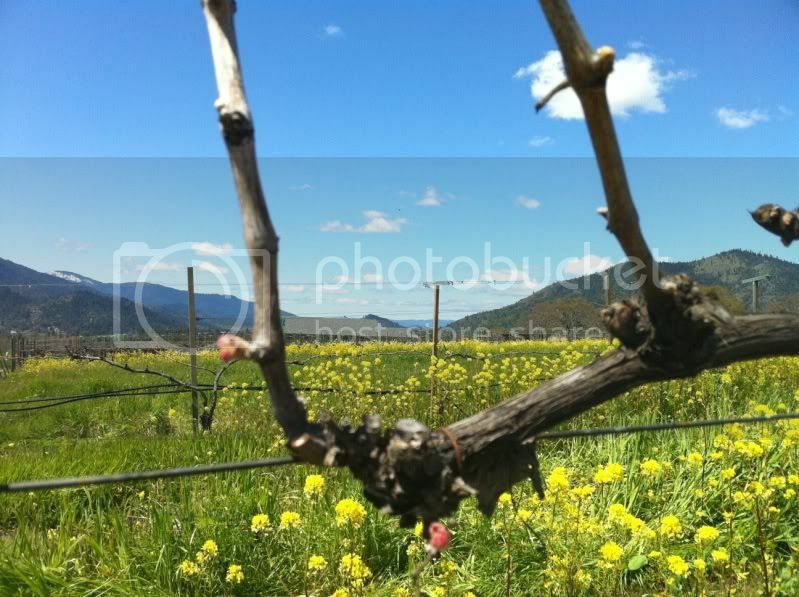 Bud break begins when the tiny buds on the vine start to swell then burst open projecting a green, leafy shoot that will soon set, flower and produce a grape cluster that will be harvested the following fall. Not all is smooth sailing once bud break has occurred; there is a chance of frost damage until the last full moon of the month, typically around Memorial Day Weekend. These fragile buds could be killed, resulting in reduction or loss of crop. But, as we near the start of the growing cycle, growers are optimistic of the season to come, the wines that will be made from the fruit, and sharing those wines with enthusiasts. Let’s toast to the annual bud break and wish the growers a happy, healthy growing season. Cheers! Swing by beautiful Applegate Lake, where trails take you back to forests, mountains and old gold mines. While enjoying the great outdoors find time to visit our Applegate wineries where your tour guide may also be knowledgeable in computer software, education, hiking trails, and manufacturing, and may also happen to be the winemaker. Stay tuned for a brief review of the valley’s early wine business. The Rogue Valley Winegrowers Association (RVWA) will present an “Operating a Successful Tasting Room” seminar on Tues., March 6, 9:00 a.m. to 3:00 p.m., at the OSU/Jackson County Extension Service Auditorium, 569 Hanley Rd., in Central Point. The session is designed for people who own or work in a tasting room and those thinking about starting or re-designing one. Speaker Craig Root of St. Helena, Calif., has more than 30 years of experience working with wine tasting rooms, first as a successful manager then for the past 17 years as a consultant. In his consulting practice, Root has helped to create 60+ new tasting rooms and 100 wine clubs throughout North America. Also, he has analyzed, advised and improved dozens of current operations. Seating is limited to 50 and registration deadline is February 15. Cost for the seminar, which includes lunch, is $40 for current RVWA members and $50 for non-members. For more information or to register, contact Marilyn Hawkins at (541) 552-9922 or mhawkins@prhawk.com. While our blog is normally about wines and wine news of the Applegate, this one is about news that doesn’t include the Applegate – sort of Applegate news by omission. Six Southern Oregon Winery Association members from the Applegate, along with 19 additional wineries from Southern Oregon will be heading north to expose Portlanders to Oregon’s warm climate wines. These wineries will conduct a Public Tasting on Sunday, November 13 from 4 to 7 p.m. at the Portland Art Museum located at 1219 SW Park Avenue. Tickets are $39. For more information or to order tickets, call (800) 781-9463 or visit the website www.sorwa.org. There will be a FREE “trade only” tasting the following day, Monday, November 14th from 1 to 5 p.m. at Davis Street Tavern, located at 500 NW Davis Street. The trade tasting is free to media members, restaurant buyers, wine distributors and other members of the wine industry. An RSVP is required to attend. For more information, and to RSVP contact regina.vaccari@gmail.com or call (541) 282-3041. I love Fall, am I sick or what! In the Applegate we have a true Fall. The colors are outstanding, the weather is crisp and it starts to rain. Never mind that we may never get the vines netted before the birds arrive, don’t worry about low sugars or getting the tractor stuck in a soggy vine row. Its harvest time and harvest we shall , just like all the years in the past. We’re grape growers, farmers, the biggest gamblers in the country. We just pull on the rubber boots and get the job done.